Centro per lo Sviluppo Creativo Danilo Dolci has had the great pleasure to offer a new and innovative training course aimed at helping migrant women to realize their full potential in the labour market and entrepreneurship. 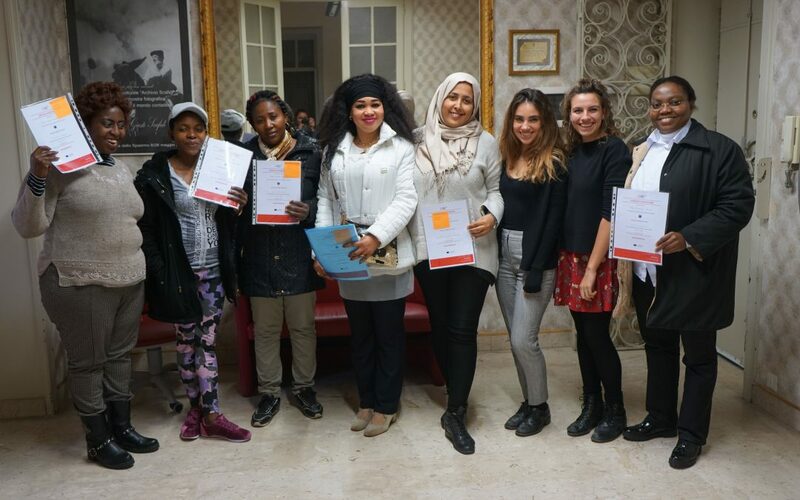 The course, which took place after a careful analysis among the partner countries on the needs of migrant women in Italy and Europe, provided an innovative approach based on the combination of a Training Course and the Career Circle Method™. 3 session of 4 hour of Coaching Circles™ after every 2 meetings. This methodology, tested in England, has provided spaces for sharing in a safe environment, where women have been able to discuss their personal problems related to the world of work and find common solutions and new ideas. Participation in the course offered women a new way of approaching the world of work, discovering previously unexplored potentials and skills leading increased self-confidence, self-motivation and self-awareness. The course received great a very positive evaluation from its participants. If you couldn’t participate, don’t worry! A second, even more dynamic and innovative training course is planned for April!